After you place your order you will receive an email with a download link to the activity eBook. All party pack orders receive this book for free. We hope you have a fabulous party and if you need any help with the activities in this eBook or from the Rock Detectives Kits, please contact us. 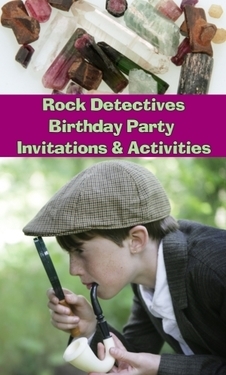 Grab a copy of our Rock Detecitves Birthday Party Plan on our blog for more ideas for a great rock and mineral party.